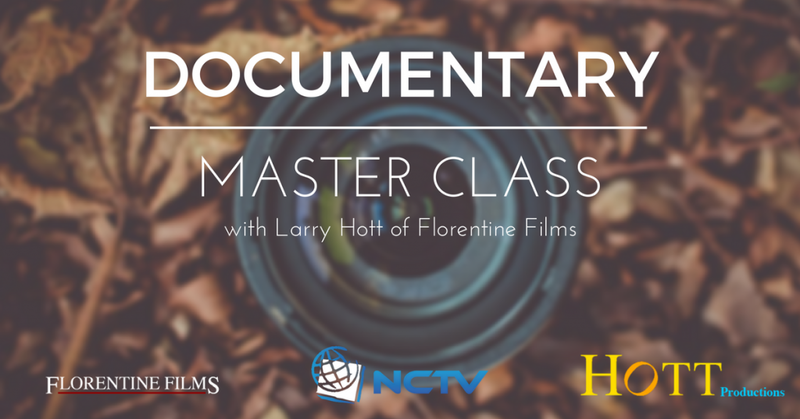 Participants will produce a short documentary under Larry Hott’s supervision, using the equipment and facilities of NCTV. 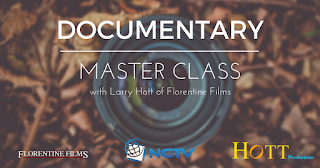 The workshop includes of screening and critiquing a diverse variety of documentary work for style, content, point-of-view, and production values. Funding, producing, directing, editing, copyright, archives, rights, research methods, budgets, story structure, interviewing, music, distribution, and how to position a project for broadcast or foreign sales, will be covered in the class. NCTV personnel will be available for help with equipment and editing. Participants will come away with an understanding of how professional documentaries are produced, broadcast and distributed. The application deadline is December 30, 2016 at 6:00pm EST. Class members will be announced Friday, January 6, 2017. The classes will be held from 7-9pm at NCTV Studios on January 17, February 7, March 7, March 28, May 2, and May 16.